Think first of recycling when you dispose of your waste. Recycling allows substantial savings to the municipality and taxpayers while contributing directly to maintain a healthy and sustainable environment. I recycle , I save! 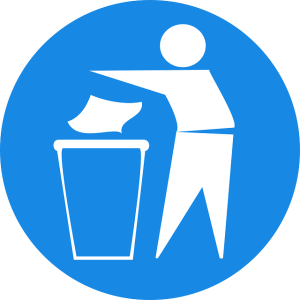 The collection of waste (household waste and recyclables) is under the supervision of the MRC des Laurentides. Centralized waste management allows all municipalities to achieve significant savings. No. 3 plastics and plastic bags (grocery bags, bread bags) and packaging film (cellophane type) are now accepted in the green bin. See memory aid. We invite you to visit the MRC des Laurentides residual materials webpages at : http://www.mrclaurentides.qc.ca/responsabilites/matieres-residuelles/. Here you will find information about schedules, collection instructions, lists of recyclable materials, contact information on Ecocentres (materials accepted) and newsletters. As part of the Week of waste reduction, we remind you that the black box is the last alternative to waste. Please recycle as much as possible!